As a foster family, your primary responsibility is to love and take care of the animal(s) as if it were your own. As part of the foster program, we ask you to work with our animal experts, trainers or behaviorists to address any behavior issues. If you don’t have any previous experience with the species you are fostering, our experts will show you the basics. How much will it cost me to foster a pet? 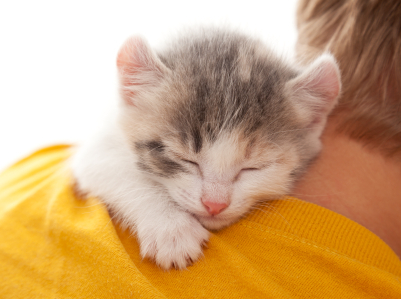 There is no cost to fostering other than providing shelter and companionship to your foster pet. Shelter Our Pets will provide most of the supplies that you need including crates. You will play a special role in the life of this animal so we ask you donate your time and attention to help them feel safe and loves. Anything else you choose to give is a donation. Who pays for medical care if my foster animal needs to go to the vet? Shelter Our Pets will cover all costs for the animal’s medical care. We will provide assistance to you to get the animal to the vet or request that you use one of our associated vets. We ask that you obtain prior approval before seeking medical attention for the animal. Can I foster if I have my own pets, and is it safe? What are the medical concerns? Every animal brought into Shelter Our Pets will be up to date on their vaccinations prior to being sheltered with other animals. Shelter Our Pets mission is to temporarily house animals of abuse survivors and later reunite pet and owner. If for any reason the owner decides to surrender their pet(s) to Shelter Our Pets the animal(s) will be made available for adoption through our adoption program. As a foster, you will have first option of adopting your fostered animal(s). Just fill out our online application and a volunteer will contact you to schedule a home visit. When that is completed, the foster coordinator will contact you to discuss what type of animal might be best for your home. Will I get stuck with the animal? As a foster for Shelter Our Pets, you agree to foster an animal for a period as short as two weeks with a maximum time of ninety days. We want your foster experience to be rewarding. If you are only able to commit to a shorter foster period, or the foster situation is not working out, we will make arrangements to move the animal to another foster. We are happy to hear that you are ready to become a foster! Please fill out our online foster application. We will contact you to schedule a home visit and kick off the process.